As obesity is a serious threat to your health, it's important to understand the right way to lose weight. Here are some things you should know about why it's important to maintain a healthy weight and how to manage your weight effectively. In order to achieve a healthy weight, it is important to first understand the dangers of obesity. Obesity is a condition in which excess body fat accumulates and puts you at risk of a variety of health problems. This excess fat may reduce life expectancy and increase the risk of other health problems, so it is vital to maintain a healthy weight. Related: What Exactly are Calories? There are many ways to measure body fat. 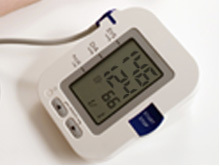 However, the simplest is by calculating your Body Mass Index (BMI). 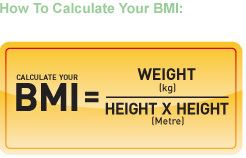 BMI measures the relationship between your weight and height to calculate the amount of body fat you have. The higher your BMI, the higher the amount of fat in your body. It is important to maintain a healthy weight to reduce your likelihood of developing one of these chronic diseases. Losing weight is not only healthy for your body but also your mind. When you look better, you feel better about yourself. This can give you more confidence to do things you never thought you could. Weight management is all about energy balance. 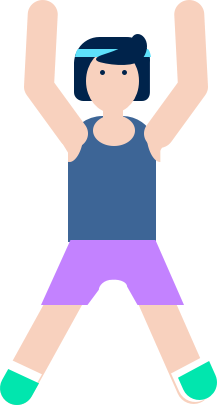 To maintain your weight, you must balance the amount of energy you get from food and drinks with the amount of energy your body uses for daily physical activity. Consuming more energy than you need will lead to weight gain, while burning more energy than you consume will lead to weight loss. Successful weight management is a lifestyle. Any healthy weight management plan should incorporate the principles of healthy eating and active living. These habits should become something you grow to enjoy and can include in your daily life. Changing your diet alone or becoming more physically active without eating healthier foods will not be as effective as doing both at the same time. SMART goals are Specific, Measurable, Attainable, Realistic and Time-bound. Write down these goals so you can monitor your progress over time. What is a healthy weight loss goal? Losing weight does not happen overnight. Fad diets and quick weight-loss fixes are not sustainable in the long term and may be harmful to your body. A good, healthy weight loss programme should adopt the concept of energy balance as its guiding principle. To lose weight, your body needs to burn more calories than you consume. This can be achieved through a balanced diet and regular physical activity. If your BMI is 23 kg/m2 and above, losing 10% to 15% of your current body weight over 6 months at a rate of 0.5kg to 1 kg a week is a healthy target. A good weight management plan should also include regular monitoring of your progress and maintenance of the weight loss in the long term. Reviewing your progress can help you identify things you have done well and things you struggle with. For example, you may be doing at least 150 minutes of moderate intensity aerobic activity per week but find it difficult to make healthier meal choices. Knowing this can help you reassess your action plan. You should also regularly review your goals to see if they are realistic. Not everyone follows the same weight loss pattern so you may have to adjust your target in order to reach your goal. To keep track of your caloric intake, you can download the Healthy 365 app to find out the caloric content of common food in Singapore. It can also help to calculate your personal calorie requirements. Know your BMI. 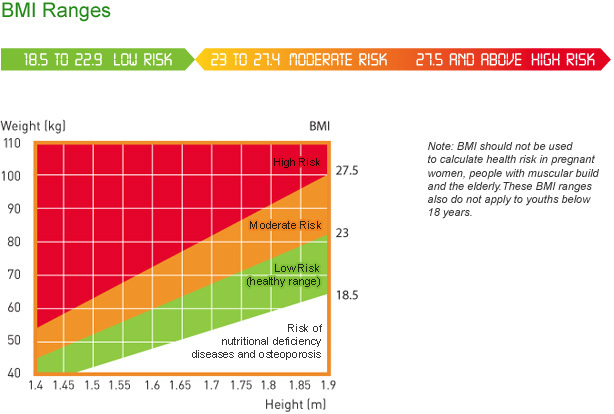 Obesity puts you at risk of many diseases. The basics of a healthy, successful weight management programme lie in making it a lifestyle, setting SMART goals and monitoring your progress. Share on Facebook now for Healthpoints! To earn Healthpoints, please setup your Healthpoints account in my profile. You will not be able to earn points if you do not setup your Healthpoints account. If you wish to set up your account at a later date, please go to 'My Profile'. How Much to Eat at Each Meal? Take charge of your health today. Here’s how you can keep your weight down and taste buds happy. Your Health. In Your Hands.With a curated suite of tools and resources, HealthHub Track gives you personalised lifestyle recommendations and easy-to-follow weekly plans to help you reach your health goals. Shape Up with Lower CaloriesHere are some simple ways for you to maintain your calorie intake. Level up and reap rewards!Hit your fitness goals faster with a community to train with, and earn privileges to some of Singapore’s sporting events! Screen for LifeScreen for Life (SFL) is a national screening programme that encourages Singapore Citizens and Permanent Residents to go for regular health screenings and follow up. <strong></strong>A good weight management plan should also include regular monitoring of your progress and maintenance of the weight loss in the long term. Reviewing your progress can help you identify things you have done well and things you struggle with. For example, you may be doing at least 150 minutes of moderate intensity aerobic activity per week but find it difficult to make healthier meal choices. Knowing this can help you reassess your action plan.</p><p class="ExternalClass19135BC790D041D6827FCA93DCE247E0">You should also regularly review your goals to see if they are realistic. Not everyone follows the same weight loss pattern so you may have to adjust your target in order to reach your goal. 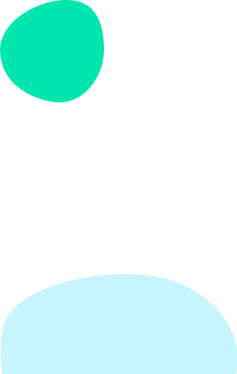 To keep track of your caloric intake, you can download the <a href="https&#58;//www.healthhub.sg/apps/25/healthy365">Healthy 365 app</a> to find out the caloric content of common food in Singapore. It can also help to calculate your personal calorie requirements. <div class="ExternalClass884B196ECC6742D5B192528E5BC3DF80">Established in 2001, the Health Promotion Board (HPB) has a vision to build a nation of healthy people.